Hello friends! We’ve written a new album that we’re recording this winter titled I’m You , and we need your help to do it! No, this is not a Kickstarter; instead, we’re turning on pre-orders for the seventh HTH full-length LP as well as releasing our sixth album right this very instant. That means you can start enjoying our new instrumental album, Against Electricity , right now! All sales will go towards our recording budget for I’m You . From now until December 14, 2018, anyone who pre-orders I’m You in any format will be entered into a raffle with individual prizes that have been valued up to $500. This way, we ensure that all fans of our band (not just the ones with the most disposable income) have an equal chance to get some of these premium extras we’ve cooked up. We’ll host a live-streamed raffle drawing in the spring where we’ll draw the winners. If you win, your prize will accompany your brand new HTH album. We are so excited about the music we're sharing with you today and the music we're about to record. It's year 13 of this band's life (! ), and your continued enthusiasm not only means a lot to all of us, it's literally how we get it all done. We haven't taken an advance from a record label since 2009. 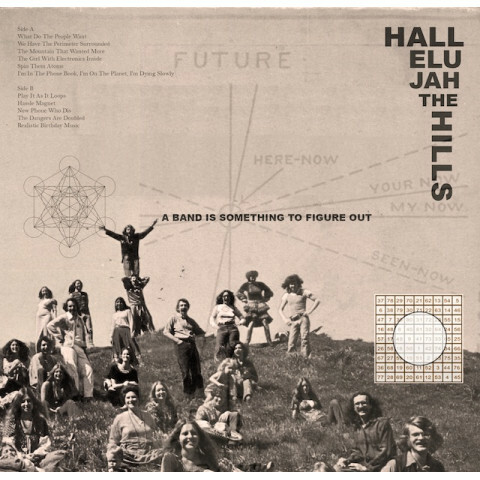 The fans of Hallelujah The Hills have become an engine that keeps us six friends churning out the cosmic American hits year after year. A sincere thank you doesn't even begin to cut it, so hopefully the tunes can carry that weight for us.